What does Clancy’s Leadership win mean for green issues? 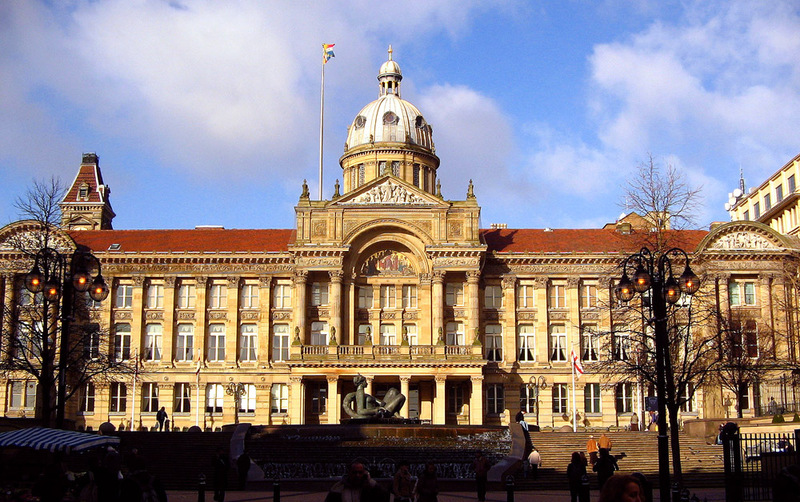 Earlier this week Birmingham City Councillors elected John Clancy to be the new leader, after Sir Albert Bore suddenly announced his resignation from the Labour leadership and leadership of the City Council last month. Bore will formally step down next week, after the chaos of the last few years seemed to come to a head with the resignation of two senior councillors, and the council’s problems being brought to the attention of Jeremy Corbyn in a shadow cabinet meeting. One such problem being the very damning and critical Kerslake report (commissioned off the back of the Trojan Horse scandal). This reported that the council is dysfunctional, councillors are too remote from the communities they serve, and Birmingham residents and businesses aren’t getting the best from the council due to its culture of sweeping deep-rooted problems under the carpet. Although the report did commend the leadership of Sir Albert Bore, it’s no secret that he is said by some to have a bullish, arrogant and micromanaging leadership style. The Kerslake report resulted in the appointment of a ‘Birmingham Independent Improvement Panel’ who is working with the council to try and improve things, but have formally slammed the Council’s bad leadership. The Panel’s recommendations for improvements had been reportedly ignored by Bore, so the pressure is definitely on winner Clancy to engage with its recommendations, and deliver a real culture change, in order to prevent the very real threat of intervention from Central Government coming to fruition. Apparently having little confidence in Bore’s leadership, Clancy’s success is actually his fifth leadership bid since 2011, and his supporters are confident this is the change that Birmingham needs. So with such big changes in store, could there be a glimmer of hope that environmental issues are brought higher up the agenda? Under Bore, the council established the Green Commission to help achieve its target of reducing C02 emissions by 60% by 2027. The commission published some promising documents in 2013 which set out to make the city greener by creating more local renewable energy, improving travel, and investing more in energy efficiency. Around this time, the Council was successful in bidding for money for its Cycle Revolution from national government to improve cycling in the city. Since then however, funds have been cut and momentum seems to have been lost. The Council’s ‘Making Birmingham Greener’ work has continued to an extent, and the city has become more walkable and liveable, but it doesn’t go far enough. We have a huge air quality problem in the city (with 520 premature deaths a year according to Public Health England being caused by dangerous levels ofair pollution). It would seem as if Bore’s focus lay more in grand buildings and attracting foreign investment than in environmental issues. It should also be noted that the positive green work was driven forward by cabinet colleagues, first James Mckay and then his successor Lisa Trickett, rather than Bore himself. He has however expressed the desire to scrap costly contracts that the council has with Capita for IT and Amey for roads and pavements, which could mean he responds positively to the BFOE Waste Campaign for a greener waste system that ends the current scheme with Veolia in favour of use of local companies. As a someone with a strong interest in local government pension funds, Clancy could challenge certain aspects of the way the fund works, and supports investing local West Midlands council pensions into the local economy. Hopefully he would therefore support the Divest West Midlands Pension Fund campaign to get the council to divest council pensions from fossil fuels. Regardless of leader it’s understandable that the Council has to focus on resolving some major challenges in the face of crippling financial cuts. However with this potential change in focus away from regenerating the city centre and vanity projects, towards local community and local business issues, hopefully we will see the new leader start to make Birmingham a greener city too. Yes, I get the impression Clancy is not an environmentalist as such, but anyone who is willing to challenge the way money and power works is likely to have more sympathy for the social and environmental challenges we face, and the solutions that tackle both… is my theory!